This American made Granville Sleigh Bed is a Mission style bed that will make a grand statement in any bedroom suite. 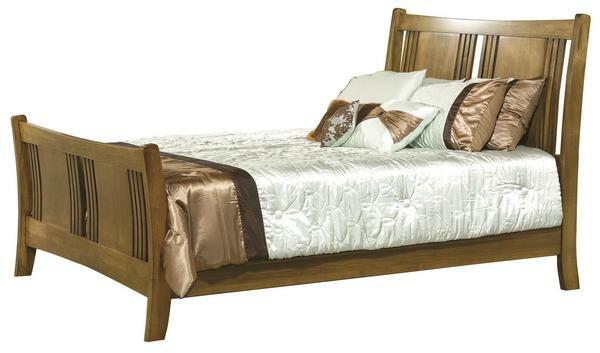 This solid wood bed is available in a twin, XL twin, full, queen, king, and California king size. We make customizing your piece of furniture as easy as 1-2-3. There you have your very own custom bed to match your decor. If you have any questions or need help with the ordering process please contact one of our Amish Furniture Specialists at 866-272-6773. Floor to Top of Side Rails: 13 1/8"
Floor to Bottom of Side Rails: 7 1/8"